This is the first of many updates to come on the 1946 Harley Davidson Knucklehead we are giving away at BF7. 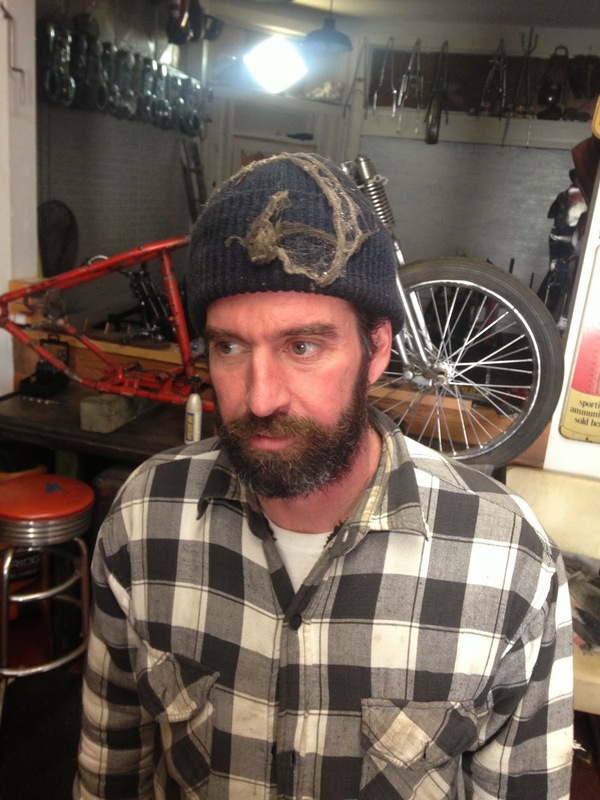 Max Schaaf of 4Q Condition in Oakland CA will be building & riding the bike to the show. Max has built some of the coolest bikes for BF & himself over the years and we are very happy he accepted our proposal to build one of the giveaway bikes. 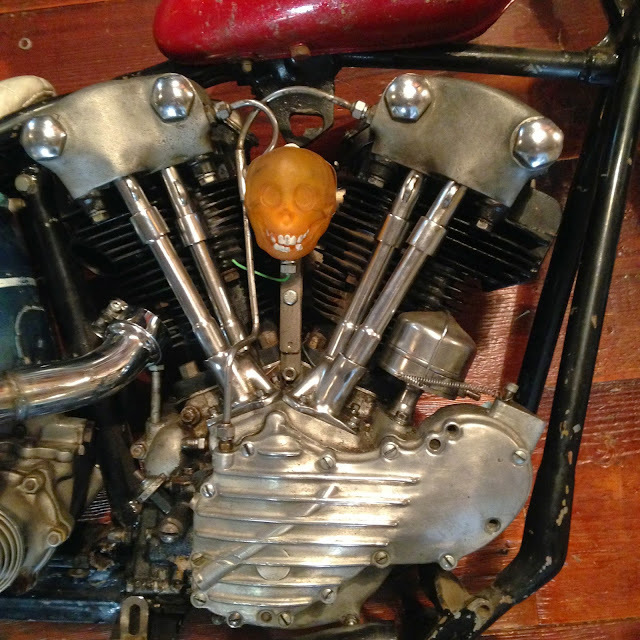 Here are some words from Max… This is my first post about the Knucklehead I am building and Born-Free is giving away at BF7. I’ve started to collect some parts for it. One being a beautiful 1946 Knucklehead motor, I really dig Knuckles in straight leg Panhead frames so I’ve acquired one of those as well. The rest is just gobbley guck for the photo, but you get the idea. I’m very excited about this endeavor and am actually a little anxious as I type this. 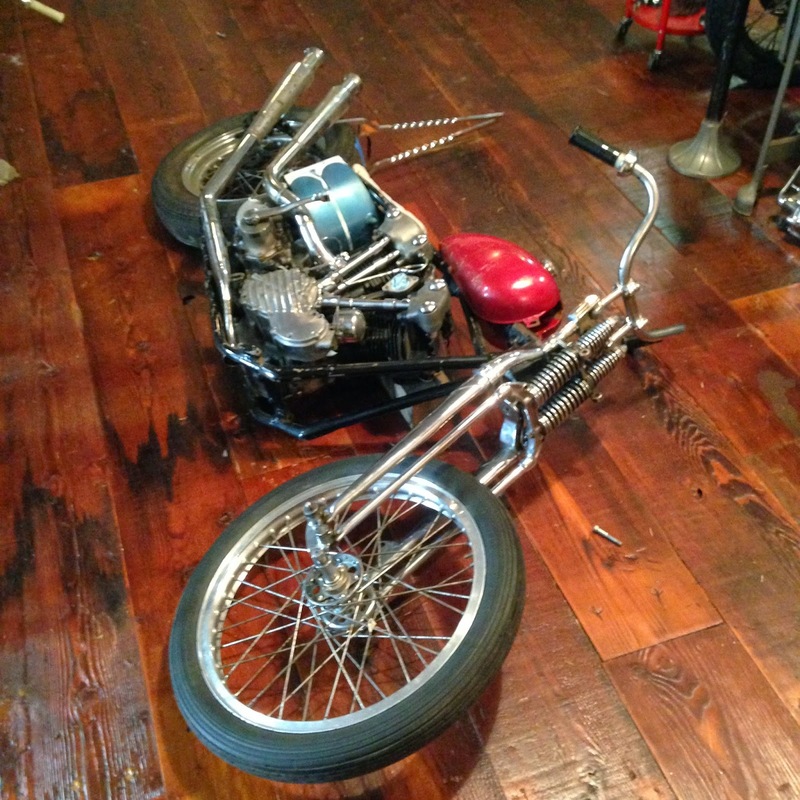 My vision is to build a chopper, that when finished i’ll ride to the show. It will not be a show bike that has immaculate paint and chrome with no farts on the seat, though I will be doing lots of fabrication and paint on the bike. I just think those style bikes are fun to build and ride and that way whoever wins it can enjoy themselves and not feel like they can’t breathe on it. Feels corny to over explain so i’ll stop, and just say…… the winner wins a Knucklehead and I hope he/she can ride it out of there or at least enjoy riding it wherever it ends up. Stoked to do this. Mike & Grant thanks for giving me this opportunity. If the bike runs well maybe i’ll just ride past the show and head for Mexico. In the Wind… or On the Win. $25 chopper. Crazy. 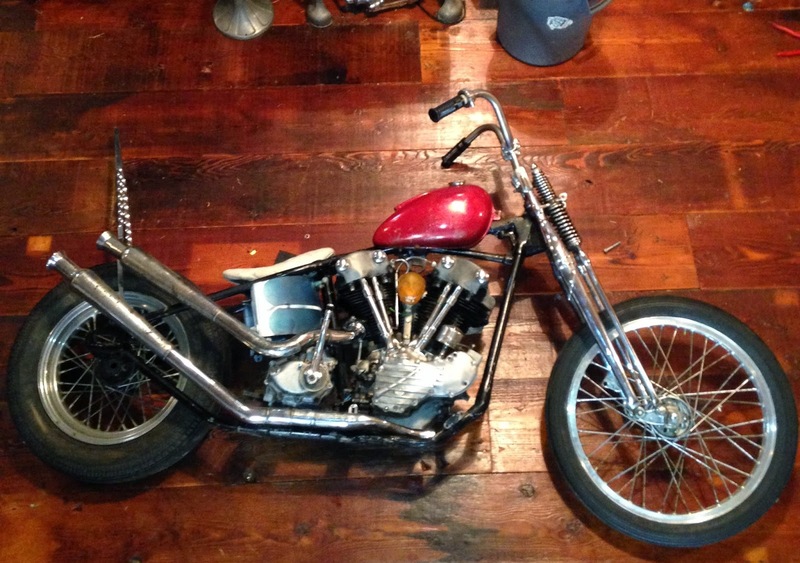 This entry was posted in $25 KNUCKLEHEAD, 4q, BF7, born free 7, GIVEAWAY, max schaaf, Uncategorized, win this bike. Bookmark the permalink.